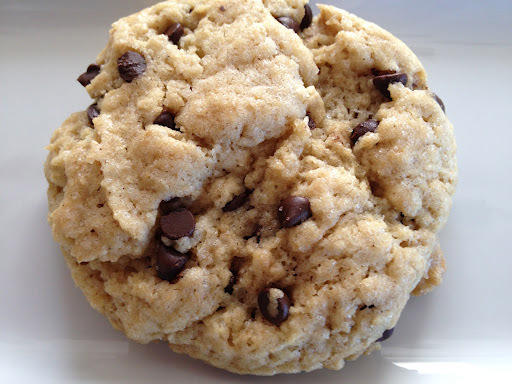 Is there anything better than a great chocolate chip cookie? Preheat oven to 350. Line a baking sheet with parchment paper. If using flax eggs, whisk them up and set aside until ready to use. Mix all of the ingredients in a big mixing bowl. Using the ice cream scooper, scoop out the dough onto the sheet with a bit of space in between the cookies. Bake for 20 to 25 minutes. Enjoy! 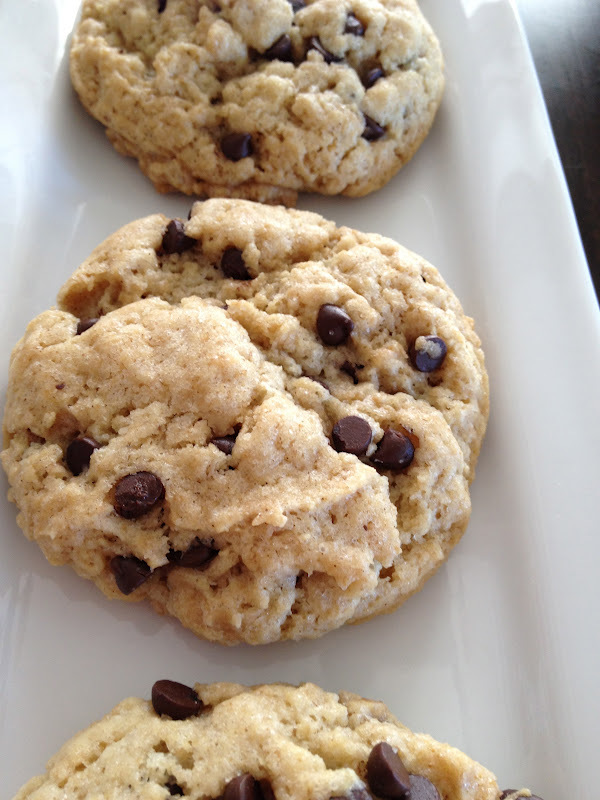 * Use whole wheat pastry flour for a thinner, crunchier cookie. ** Use 1 cup of vegan cane sugar and 1/4 cup vegan brown sugar for a change! p.s. : You can make balls of dough and freeze them for next time you want cookies. They come out GREAT! yes…in fact, i just made them with whole wheat flour last week and they are great. thanks!